A classic World Cup, a Champions League final that had everything and the end of the road for two of the Premier League’s most successful managers. 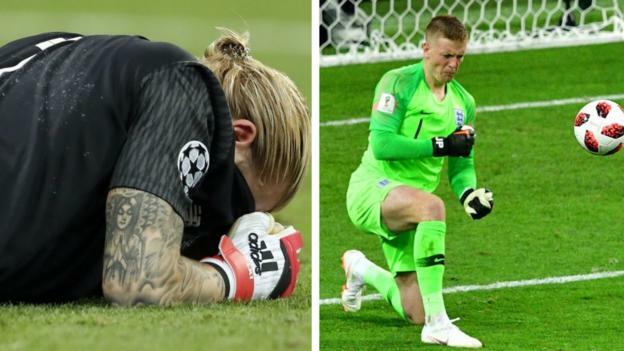 There was loads of footballing drama in 2018 – and lots that will live in the memory for a long time to come. We came up with a list of our most memorable moments of the year and asked you to rank them. Here’s your verdict, in reverse order. La Roja came into the tournament as one of the favourites, having gone 20 games unbeaten under Lopetegui – but just two days before the tournament started, Real Madrid announced he would be taking over as their boss after the tournament. Spain were so furious they let him start that job early by sacking him, with sporting director Fernando Hierro taking over for their ill-fated World Cup campaign – they were knocked out of in the last 16 by hosts Russia. Molde boss Solskjaer then became Manchester United’s first loan signing from Scandinavia since Helsingborg striker Henrik Larsson. The former United striker is set to go back to his club at the end of the season… unless the Old Trafford bosses decide to appoint him permanently. Manchester City players celebrated with the fans like it was Agueroooooo all over again. Pep Guardiola leapt into the air on the touchline like Sir Alex Ferguson celebrating Steve Bruce’s title-winning goal in 1993. Gabriel Jesus’ chip in the last minute against Southampton on the final day made City the first team to reach 100 Premier League points. He had a seven-game farewell tour – including a last defeat at Old Trafford and a final European exit – but it all ended with a 1-0 victory at Huddersfield on the last day of the campaign. As good as Gareth Bale’s bicycle kick in the Champions League final was (see below), it didn’t get him a £99m move to Juventus. But Cristiano Ronaldo’s did. Cue every opposition fan in England applauding Manchester City’s Kevin de Bruyne or Spurs’ Harry Kane every time they score. Mohamed Salah’s season had been leading up to this moment, but Sergio Ramos had other ideas when he pulled the Egyptian’s arm and injured his shoulder midway through the first half. Goalkeeper Loris Karius’ career at the club effectively ended when he threw the ball directly at Karim Benzema to hand Real the opening goal. Welsh winger Bale’s relationship with Real has been rocky at times but he etched himself into folklore with his fourth touch of the game. If history is anything to go by – with their only previous shootout success coming in Euro 96 against Spain – their next penalty win will be at Euro 2040.